Arkansas is ranked 30th in the U.S. for deaths caused by mesothelioma—a deadly cancer formed after exposure to asbestos. Although Arkansas isn’t known for asbestos exposure, there are areas in the state and certain jobsites where this substance existed. What is Asbestos and Its Association to Mesothelioma? Asbestos is a group of naturally-occurring minerals that are heat resistant, strong, and used in hundreds of products by many U.S. industries because of durability. Consumer goods that contained asbestos include insulation, paper, adhesives, brakes, joint compounds, floor tiling, and many construction materials. In particular, asbestos was used in the shipbuilding industry. Because this material is resistant to high temperatures and corrosion, it was the perfect choice to insulate boilers, incinerators, steam pipes, and hot water pipes on ships. However, health experts learned that asbestos is an extremely toxic substance. In the late 1930s, there were reports of asbestos-related cancer; in the 1960s, asbestos exposure was linked to mesothelioma. Even secondary exposure to asbestos, also known as non-occupational exposure, was found to cause cancer. Because asbestos fibers are microscopic, people working in asbestos mines would carry home the toxic material on their clothing, coats, and shoes, and unknowingly expose their spouses and children. When asbestos fibers are inhaled or swallowed, they get trapped in the lining of vital organs in the body and never dissolve. Over time, the fibers cause scarring and inflammation, and damage the cells in the body. It can take years or decades for a victim of asbestos exposure to be diagnosed with mesothelioma, and by that point, the cancer is usually untreatable. Additionally, two jobsites in particular are known for exposing workers to asbestos: The North Little Rock vermiculite processing facility and Fort Chaffee. In late 2011, EPA officials met with residents of North Little Rock. The topic was a former vermiculite processing facility in operation for almost four decades that may have exposed workers to asbestos. The EPA confirmed contamination at the site, and the likelihood that the vermiculite plant contained asbestos shipped in from Montana’s Libby Mine. This asbestos was considered significantly more toxic than other asbestos types. The EPA also confirmed the community at large and the local park in North Little Rock could be at risk if asbestos contaminants were found where the old facility site once stood. Fort Chaffee Army Base was also identified by the EPA as a location that contained asbestos, and its buildings and the surrounding area were demolished. However, the EPA allowed unapproved methods and procedures to destroy the asbestos-containing buildings. In doing so, the agency may have violated safety rules for workers and threatened the health of the general public. These unsafe methods were used to save money and time, and weren't approved or tested properly by the agency. 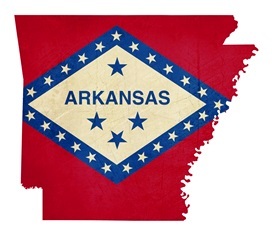 Since the late 1980s, there have been nearly 50 lawsuits in Arkansas for asbestos exposure. These lawsuits targeted many negligent parties, including manufacturers and employers. Consequently, some companies were forced to file for bankruptcy, and others settled claims through trusts. A few of the cases were class action lawsuits that named more than one defendant. Although Arkansas has no Superfund sites that list asbestos as a known contaminant, some residents are still at risk of exposure in some areas of the state. If you’ve been diagnosed with mesothelioma in Arkansas, you have three years to file a personal injury claim. If someone you love died because of mesothelioma, you also have three years to file a wrongful death suit for their asbestos exposure. Even though you have three years to file a lawsuit after being diagnosed with mesothelioma, you don’t want to wait that long to pursue your claim. You need to retain a skilled attorney experienced in litigating this type of cancer lawsuit. He'll need time to investigate your claim, as these cases can prove to be challenging, given the long period between the asbestos exposure and a diagnosis of mesothelioma. If you were diagnosed with mesothelioma, the dedicated attorneys at Neblett, Beard & Arsenault will fight aggressively for the compensation you deserve. We'll handle your case on a contingency fee basis, so you won’t pay any money up front. To learn more about your legal options, contact us online or call our office directly at 318.541.8188 to schedule a free, no-obligation consultation.